Submitted by Anonymous (not verified) on Sat, 2006-01-28 01:53. Thanks so much! This is a great idea. I'd been wishing there were something like this, all ready for my planner. Submitted by Anonymous (not verified) on Tue, 2006-01-31 08:52. Is it possible to get these in letter sized sheets? Submitted by scrapbunny on Fri, 2006-02-03 00:38. Submitted by Anonymous (not verified) on Tue, 2006-04-11 21:52. This is fantastic! I am trying to set up my own office in a bag without having to buy the expensive cover - I'm looking for a less expensive zip cover with handles. :) Thank you! PS Paper is definitely not dead! Submitted by Anonymous (not verified) on Thu, 2006-06-15 18:22. FLYLady's Office in a Bag appears to be nothing more than a Bible bag made larger. I've seen some Bible bags on eBay that would do the trick, but the largest size I've found so far is about 11" x 9", which probably isn't large enough for a 3-ring binder. FLYLady's $40 version measures 12" x 11.5". Submitted by Sardonios on Thu, 2006-06-15 21:11. Submitted by Anonymous (not verified) on Fri, 2006-07-07 14:56. "less expensive zip cover with handles"
I have seen these at local Costco, It was 19.95 (is here with 'Back-to-School' stuff) and includes 3 ring binder, page separateor and lots of other stuff.Looked perfect for Office in a Bag. Most importantly, it had handle, which is not common. Submitted by dvaughnprice on Sun, 2014-10-05 11:14. I really appreciate this. I took this and shrunk it down on the copier until it all fit on the front and back of one 5x8 index card when trimmed nicely. So great to have the entire thing on one piece of paper and I can stick it in a book or in my purse. 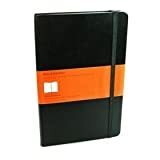 It doesn't replace the control journal, just helps keep me on track. I love this webpage and keep putting links to it in all my Facebook groups. Terrific resource. Thank you. Submitted by dvaughnprice on Sat, 2019-02-09 17:43. It's 2019 and I'm back printing this again. WHY?? Because it's the smallest, easiest way to keep what I need handy. I am so glad this site is still up. There's a lot on here that is so useful. I love this simple list. I do not follow flylady, she's rather creepy, LOL, but I love this simple daily plan. Beats a giant planner any day. Thank you! !